Today, SensioLabs is considered a major contributor to the Open-Source PHP ecosystem, particularly thanks to the development of the Symfony framework and the numerous other PHP softwares that accompany it (Twig, Silex, Swiftmailer, etc). 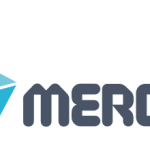 The company is also an active participant in the continual development of the PHP language with Julien Pauli, PHP and Symfony trainer and C developer for the Blackfire.io team. With the emergence of PHP 7 at the end of 2015, SensioLabs has constructed a PHP 7 and web development specific professional training circuit. This training circuit, comprised of several modules, encompasses all levels of expertise from beginner to mastery in order to satisfy the needs of every web development professional. The main objective – help all developers train up in PHP, its language, object-oriented programming and software architecture with hands-on experts who use this latest language version, PHP 7, every day. Our PHP 7 trainings are taught by Julien Pauli, contributor to the PHP project and author of several Eyrolles publications, and Hugo Hamon, head of SensioLabs trainings and a major contributor to Symfony. Both of them count more than 10 years professional experience with PHP! PHP 7 training programs for every level! The first training module lasts four days and is called: « PHPC1- Building Dynamic Web Applications with PHP 7 & MySQL ». It’s designed to help beginning web developers learn the PHP language quickly, learning the basic procedures and methods. This workshop teaches them to develop their first dynamic website filled with content that comes from the MySQL database. Course highlights are best practices for programming with PHP, web security, treating formulas and manipulating a MySQL database. The first workshop sessions start in our offices in Paris on April 11th, 2016 and registration is open. Developers who already master the the basics of PHP programming may prefer to choose the training module « PHPC2- Mastering Object Oriented Progamming in PHP 7 ». Object-oriented programming proposes a philosophy that is an absolute cornerstone for development professionals today which is why this 3 day intensive course focuses on it. During this workshop, PHP developers will learn all relevant concepts and tools for object-oriented programming and how to apply them with concrete, practical exercises! This workshop is a necessary and obligatory step for those developers who wish to improve their level of professionalism and target passing the Zend PHP certification or the discovery of a full-stack framework like Symfony. Registration is already open and the first training sessions begin on April 25th 2016. Go even further with PHP 7! SensioLabs proposes a wide offer of trainings and workshops in PHP technologies to assist professionals throughout their careers. Our catalogue boasts such workshops as mastering conception patterns, multiple aspects of the Symfony framework, layouts with Twig and even discovering Docker and Git. 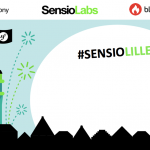 With SensioLabs, you know that you’re in good hands! All of our teachers are terrain-trained experts, recognized by their peers and are major contributors to numerous Open-Source projects. In addition, they are published authors of various works of reference for key editing houses in our field such as Eyrolles and speak regularly at international conferences. Don’t drag your feet! Sign up today for one our upcoming sessions here at SensioLabs!